iotacons: Omar Comin’ Cross Stitch! Hi everybody. 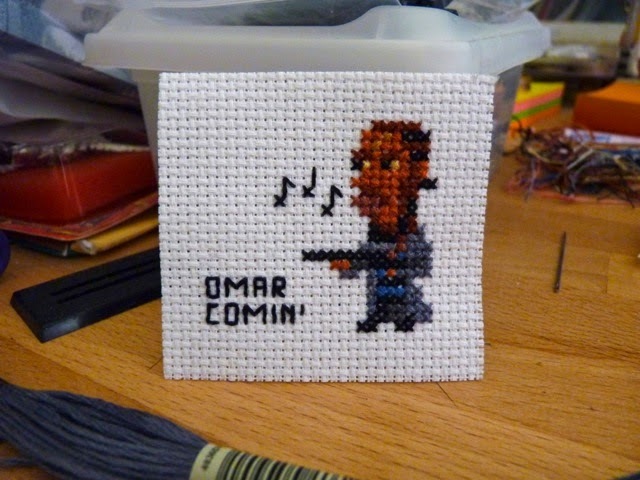 Julien Drouet just sent me a picture of this great Omar Little from The Wire cross stitch. I’m pretty sure those notes he’s whistling in “Farmer in the Dell.” Here is Julien’s tumblr. Julien also requested a Full Metal Jacket iotacon, which I though was a great idea! Stay tuned….